Squaw Valley Ski Team’s Oscar Whelan (left) hoists the Allan Cup next to Kirkwood skier Autum Ellingford. 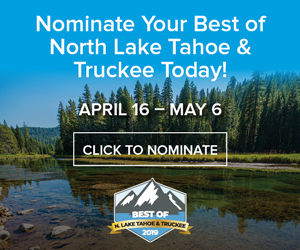 Local youth skiers wrapped up the Far West alpine season earlier in the week with competitions at Mammoth Mountain Ski Area, Northstar California Resort and Sugar Bowl. The annual Far West Tech Finals were contested at Northstar and Sugar Bowl, bringing more than 200 skiers to the resorts for the final events of the season. Racing began March 29 with women’s slalom and men’s giant slalom at Sugar Bowl. Misel Marovt, of Sierra Nevada College, skied to the slalom win with a combined time of 1 minute, 35.22 seconds. From there, athletes from Sugar Bowl Ski Team & Academy took over, posting the next five fastest times. Georgie Sullivan (1:35.91) led the way, followed by Abigail Larrabee (1:36.86), Elizabeth Scott (1:37.05), Sage Piper (1:38.83) and Maddie Welling (1:39.24). Women’s racing continued the following day at Sugar Bowl with another round of slalom. Sugar Bowl’s Sullivan would edge Marovt by 0.05 with a combined time of 1:30.96 to take the slalom victory. Larrabee was again third with a combined time of 1:31.37. The competition shifted to Northstar on Sunday for the first of two days of giant slalom racing. After not competing in slalom, Northstar Ski Team members Zoe Huml and Zazie Huml went one-two to open racing at the resort. Zoe Huml posted a combined time of 2:11.72 to claim first. Zazie Huml finished with a combined time of 2:12.09 for second. Sugar Bowl’s Sierra Kim (2:13.60) landed on her first podium of the Tech Finals with a third-place finish. Sullivan (2:14.05) was fourth. The Far West season then concluded last Monday with another round of giant slalom at Northstar. Zoe Huml would duplicate her performance from the day before, racing to a first-place finish with a combined time of 2:07.37. Sullivan came in second with a combined time of 2:08.32, finishing her Tech Finals with a first-place finish and a pair of second places. Teammate, Sierra Kim was third with a combined time of 2:08.32. 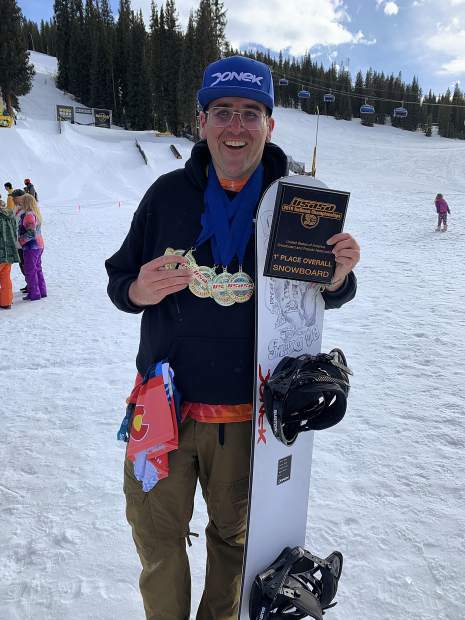 On the men’s side, Squaw Valley Ski Team’s Jordan Cashman put on a show during the weekend, taking first place in three of the four events and second in the other. Nickco Palamaras, of Las Vegas team Longhaul Sports International, edged Cashman by 0.02 during Friday’s giant slalom race at Northstar to pick up the win. Palamaras would race to a second-place finish the following day at Northstar. Sugar Bowl skiers Jack Schaffner and Dylan Thomas each skied to a third-place finish during the two day’s of racing at Northstar. Thomas went on to finish second during Sunday and Monday’s slalom events at Sugar Bowl. 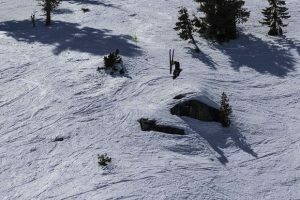 Sierra Nevada College’s Vidar Widing was third during Sunday’s slalom event, and Sugar Bowl’s Isaac Mozen was third in the following day’s race. 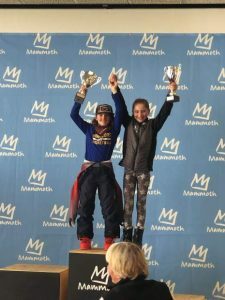 Local youngsters were in action last week at Mammoth Mountain Ski Area for the U12 Championships. Skiers from the boys’ Squaw Valley Ski Team swept first place during the four events, and were led by Oscar Whelan, who posted the fastest combined time to win last Thursday’s slalom race. Whelan was second the following day in slalom, and then closed the U12 Championships by winning last Sunday’s giant slalom event. 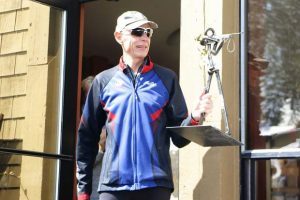 For his performance, Whelan was named the winner of Far West Skiing’s Allan Cup, which goes to the top male and female athletes. Squaw’s Florian Standteiner took wins in slalom and super-G. Standteiner was also runner-up during the opening round of slalom races. Squaw’s Macallan Rocco posted a pair of podium finishes, taking third in Thursday’s slalom event and third in super-G. Sugar Bowl’s Dreyson Rahlves also landed on the podium in two events with a second-place finish in super-G and a third-place finish in slalom. Squaw Valley’s McKinley Mercer was second in giant slalom, and Kirkwood Ski Education Foundation’s Kash Van Kirk was third to round out the podium finishers on the boys’ side. 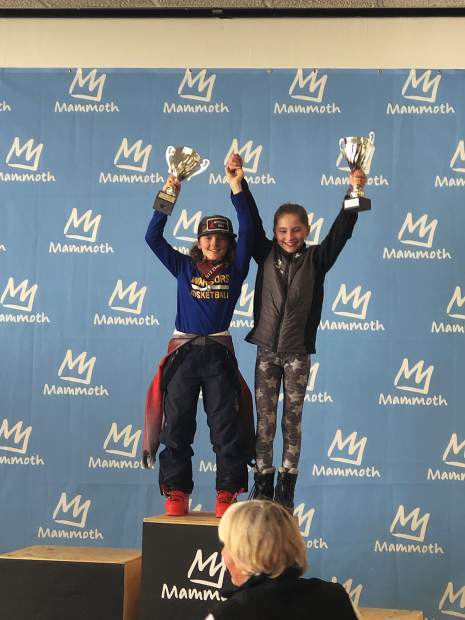 In girls’ racing, Squaw Valley’s Chloe Ronning posted the best result of any local skier, claiming first place in last Saturday’s super-G. Mammoth’s Maya Eisner was second, followed by Squaw’s Julia Cunningham in third. Eisner and teammate Ashlynn Parsons were first and second, respectively, in last Thursday’s slalom event. Squaw’s Esme Roberts landed on the podium the following day with a second-place finish in giant slalom. Roberts was also third in slalom. Kirkwood’s Autumn Ellingford won the event. Ellingford also won giant slalom and was third in slalom to win the Allan Cup on the girls’ side. Squaw Valley Ski Team’s Simone Dessens was awarded the Marco Sullivan Cup for reportedly coming to the aid of a teammate who was buried in the snow. Dessens found the downed skier and cleared an airway, possible saving her teammate’s life.